If you're a runner (and if you're not at least somewhat of a runner, this blog will probably be really boring to you) then you probably know that your biggest expense for this relatively simple and otherwise incredibly cheap sport is your shoes. Not because there aren't cheap running shoes out there, but because cheap running shoes are not really going to give you the support that you need (or at least not for very long) and because even good running shoes need to be replaced every 300-400 miles or so. 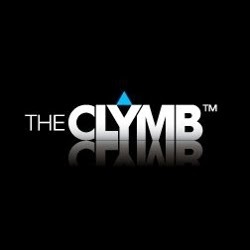 I typically try to buy locally - both Fleet Feet and Universal Sole have great rewards programs and I shop at both - but I go through a lot of shoes and a few years ago I joined a mailing list that one of my friends turned me on to (he's on it mainly for hiking and camping gear): The Clymb. On the site they describe themselves like this: "The Clymb offers insider pricing on premium outdoor gear, trend-setting apparel, and human-powered adventure travel packages." But they also say: "Our mission is to increase the well-being of the planet and its inhabitants by inspiring human-powered adventure." This basically translates to mean that they have pretty much everything outdoorsy and/or fitnessy from tents to yoga mats to and somehow they get it all at really cheap prices and then put it out on their site on sale all the time. Like, really on sale. Obviously I typically stick to the running category (you can set your preferences for what type of products you'd like to be notified about on their mailing list) and I've gotten some cheap running shoes (typically an iteration behind the latest version). For example, as a (relatively) neutral runner, I like the Mizuno Wave Rider (in fact, I pretty much only wore Wave Riders or Wave Creations for about three years straight before I started diversifying my running shoes). Right now The Clymb has the Mizuno Wave Rider 16 and the Wave Creation 14 - among other Mizuno shoes - for sale at nearly half price. Beyond the almost exhaustive selection of shoes that they have (both trail and road racing) they also have every kind of running gear, though their inventory shifts from day to day, and often from minute to minute, depending on how good the deal is. Anyway, if you go through running gear like I do this is a good site to join and I recommend at least checking it out. The Clymb is awesome! I buy way too much stuff from there though I've never been very successful finding running gear that I like. But skiing stuff and non-workout shoes: it's the best! I've only used it for shoes and running gear but the guy who told me about it uses it for pretty much everything else. Sounds interesting, but unfortunately the links don't work if you're not a member. Good point - it's a membership-based site and you have to join to buy stuff. But the membership is free.